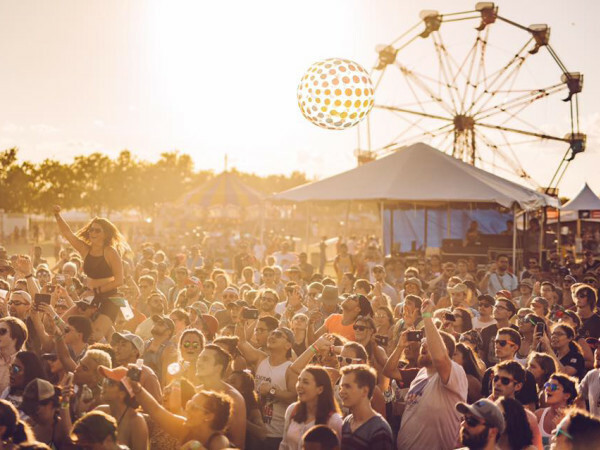 Hays County, just south of Austin, may have the charm of small-town Texas, but that doesn’t mean it gives up the big city perks. Dotted with world-class restaurants, luxury lodging, and specialty boutiques, the small towns along East U.S. Route 290 are perfect for a weekend retreat — or longer. 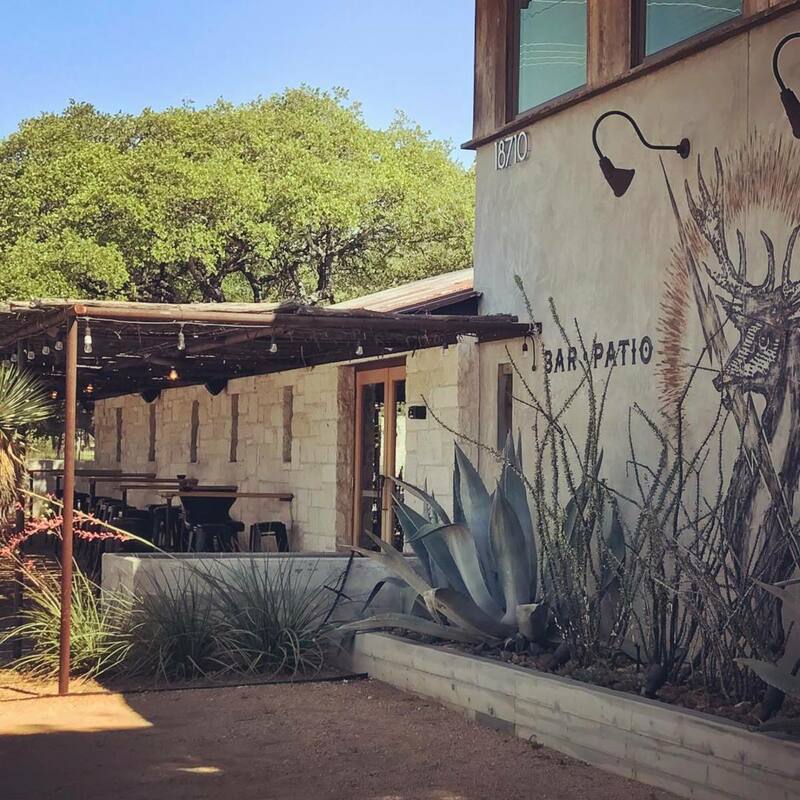 Here's a guide to help plan your next getaway to Wimberley, Dripping Springs, Driftwood, and the other charming Texas towns in this slice of Hill Country heaven. Right outside Wimberley’s core on Ranch Road 12, this stylish cafe brings European flavors to the Texas Hill Country. The dinner menu offers treats like French littleneck clams and mussels and steak frites, but the restaurant really comes alive during Sunday brunch with a selection of eggs Benedict, delicate sweet and savory crepes, and a house-cured lox board served with all the fixings. 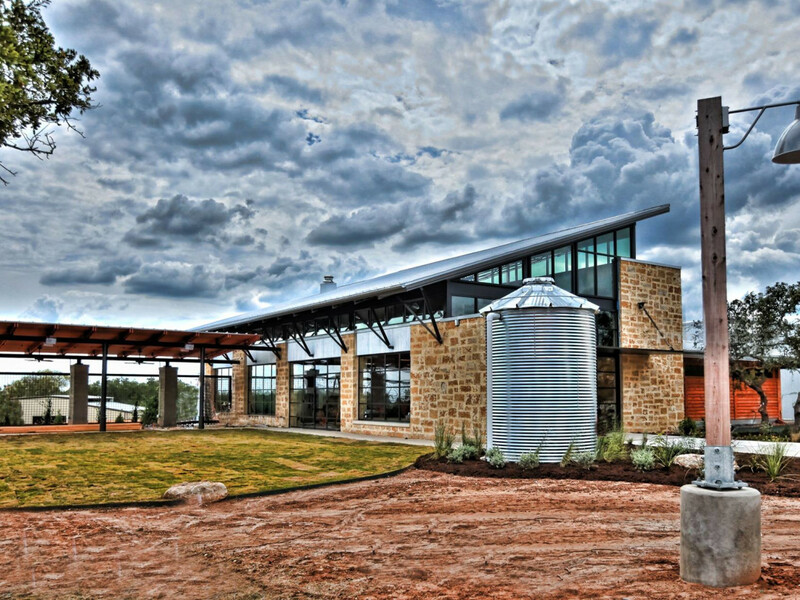 Now in its new home, this Dripping Springs fave regularly has Austinites making the drive for antipasti platters; affogatos; homemade ice cream; and Neapolitan pizzas topped with everything from traditional cured meats like hot sopressata and prosciutto to veggies like Brussels sprouts, roasted eggplant, and Calabrian peppers. Its secret weapon is the miraculously tasty pastrami, carved to order on a snack plate or served as a sandwich on crusty sourdough bread. 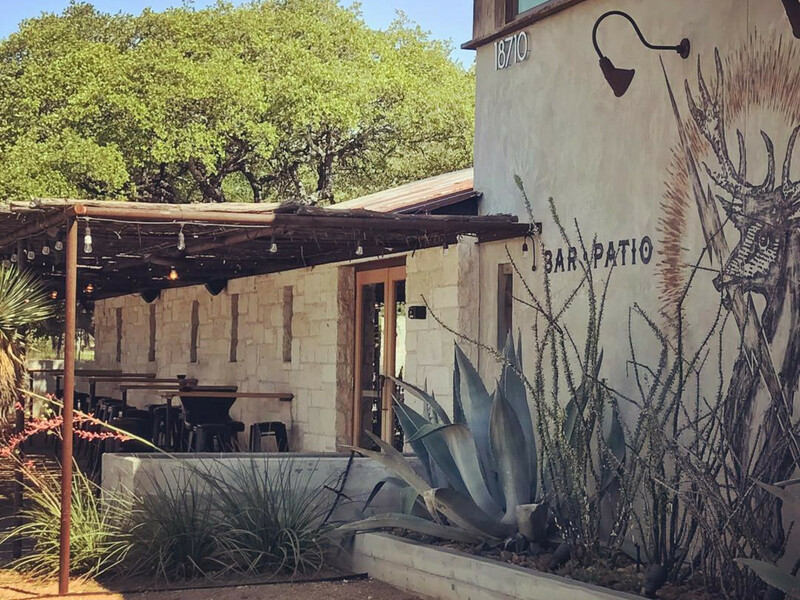 With Texas country music playing on the stereo (and sometimes on a stage outdoors), this Spicewood bar and restaurant has the feel of a rowdy roadhouse. Staying true to its country roots, the eatery serves classic comfort foods like mac ’n’ cheese, grilled ribeye steaks, deviled eggs, and crisp and juicy fried chicken, supplemented with some gourmet surprises like blistered shishito peppers. The cocktails are unexpected, too, like the Chloe — a delicate mix of Treaty Oak vodka, St. Germaine, lemon, and bubbles topped with St. Germain foam. 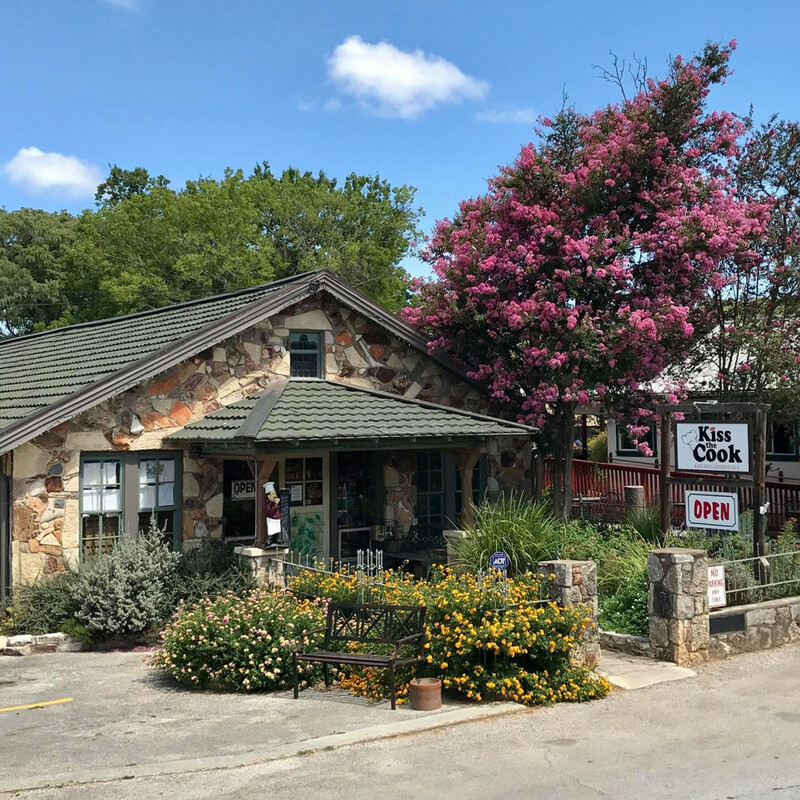 Hill Country cuisine may be known for beef and game, but this Dripping Springs storefront proves that vegan food is just as much at home. Started as a locally sourced bakery, the cozy eatery has tons of sweet pastries like fruit turnovers, babkas, galettes, cookies, and cupcakes. It proves just as skilled at savory dishes like toasts, light salads, flaky handheld pies, and the best plant-based mac ’n’ cheese for miles. What happens when you combine the superpowers of two of Austin’s most well-respected restaurateurs? A can’t-miss eatery in Dripping Springs’ new Belterra Village that is far more than a typical barbecue joint. Diners will still find the classic smoked pork spare ribs and jalapeño sausage that gave Austin's Stile’s Switch its name, accompanied by creative Cajun dishes developed with Lenoir’s Todd Duplechan. Order the brisket and sausage gumbo to see why this seemingly unusual pairing is a perfect match. This adorable stone cottage in Wimberley is packed from floor to ceiling with everything necessary to become a Hill Country Ina Garten. Although the shop stocks plenty of egg slicers and immersion blenders from big department store brands like Cuisinart and OXO, it's the Texana that keeps patrons coming back. If you have a homesick Texan in your life, send them a care package with a state map tea towel, a jar of olive oil from Bella Vista Ranch, and a regional cookbook. This tiny yarn store aims for far more than granny squares with a selection of chic kits and patterns that will give any outfit oomph. While in Wimberley, consider taking a knitting or crocheting class designed for beginners and experts alike. 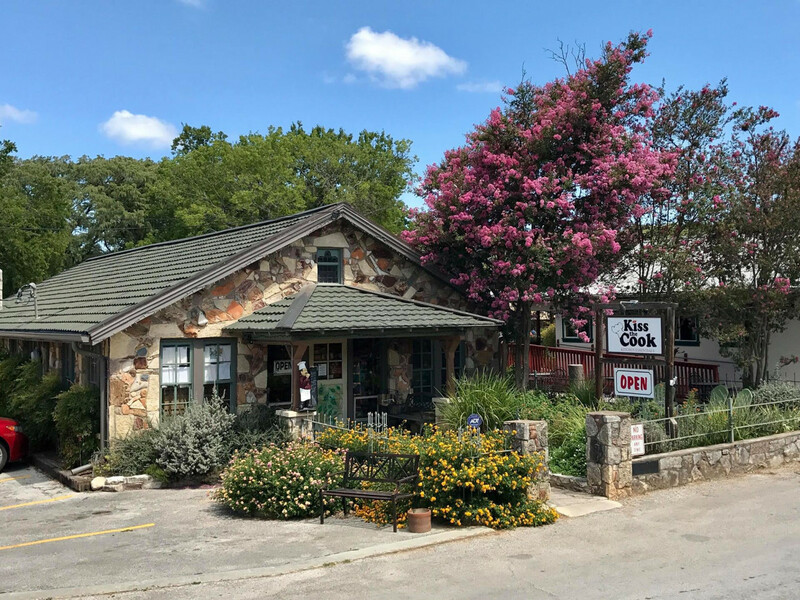 Give your home — and yourself — some Southwestern style at this delightful shop located on the Wimberley town square. Finds include colorful miniature home facades handpainted by a Jalisco, Mexico artist; a wide variety of silver and turquoise jewelry; and stunning Guatemalan textiles. Visit in December to find some of the most unique holiday decor in the state, like uber-Texas shotgun shell twinkle lights. Held on the first Saturday of the month from March-December, this market is the place to score one-of-a-kind antiques and handcrafted gifts. Vendors rotate, but there is always a selection of soy candles, midcentury glassware, quilts, nostalgic signs, and collectible dinnerware. Proceeds from the event go back to the community through nonprofit donations and scholarships. 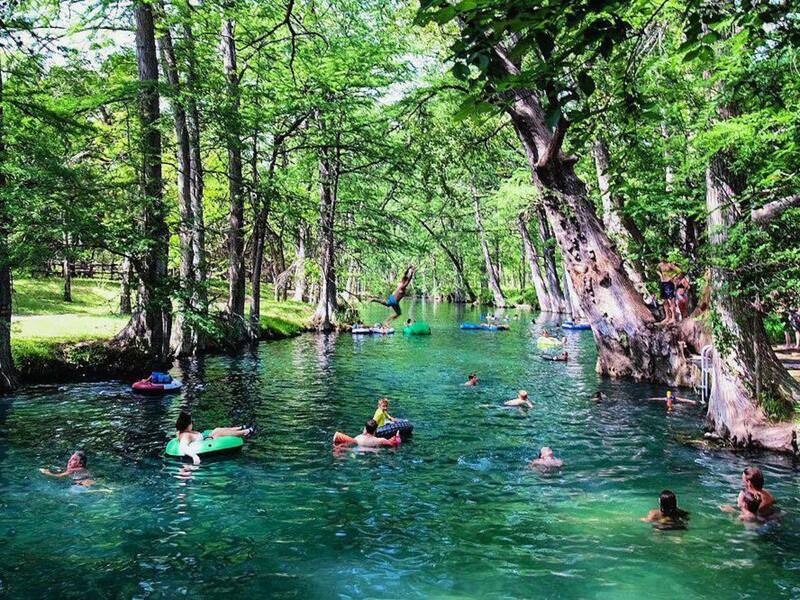 In 2005, the City of Wimberley purchased this 126-acre tract of land to help preserve it for generations to come. 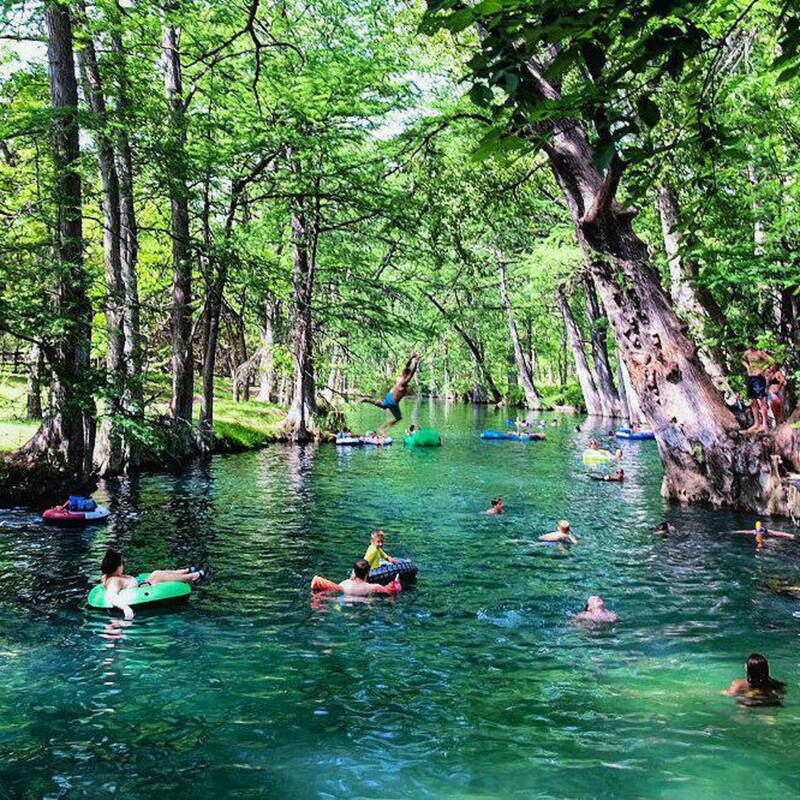 Best known for its sparkling swimming hole, the park is also is chock-full of features like picnic tables, a basketball court, a sand volleyball court, and an amphitheater. With more than three miles of trails, it is also a gorgeous place for a nature walk. 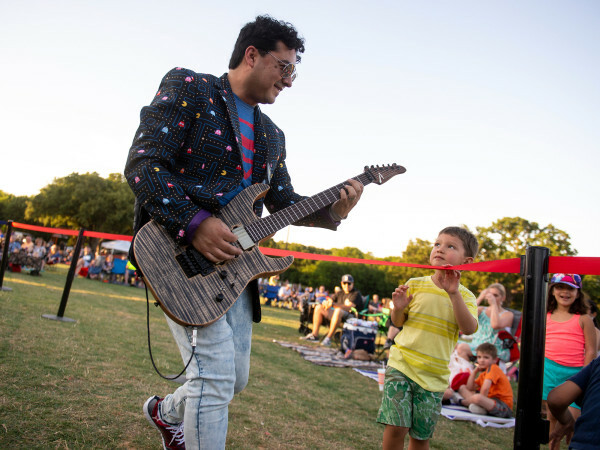 Founded in the late '40s, this open-air movie theater is a tradition with locals, bringing first-run movies like Mission Impossible: Fallout, Mamma Mia! Here We Go Again, and Crazy Rich Asians to Wimberley at the unbelievable price of only $6 per ticket and $1 concessions. Before hitting the box office, stop by an ATM. And bring a few folding chairs just in case; the retro rockers on the front rows fill up fast. 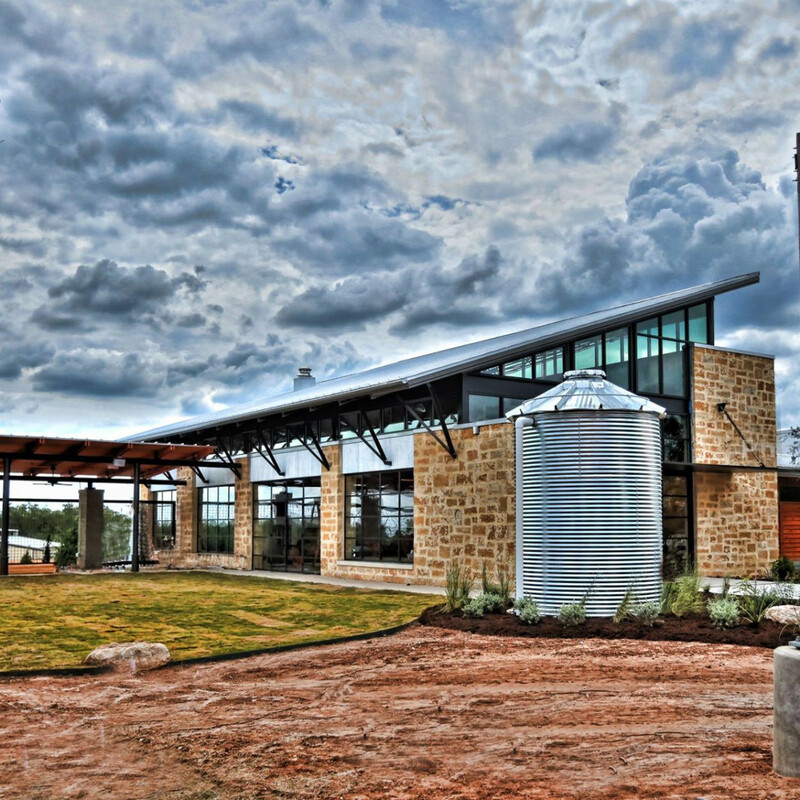 With a breathtaking view of rolling hills and the big Texas sky, this Dripping Springs distillery gives instant relief to everyday stress. Sit in the lounge-like tasting room or on the lawn and enjoy a cocktail, learn how to make the drinks at home, or grab a bite from a visiting food truck. Be warned, the guest rooms and cottages on this idyllic Dripping Springs estate are so well appointed you may never want to leave. Soak in the deep bath or snuggle up on the cloud-like pillow top beds before heading out to the creek for some fresh air. Book after October 1 and have a romantic dinner at the soon-to-open Tillie’s restaurant. No wonder it is one of the area’s premier wedding destinations. Nestled in a rolling, tree-covered patch of Dripping Springs land, these tiny houses are a world away from the hustle and bustle of the city. 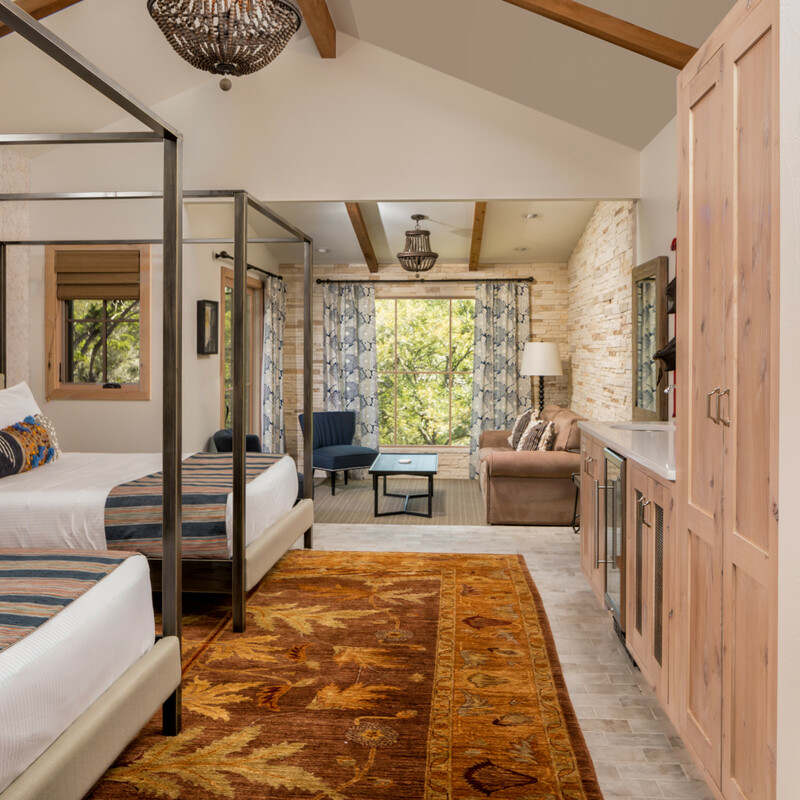 Available in studios and one- or two-bedroom suites, each casita is decorated in an eclectic blend of contemporary and rustic Hill Country style. Each secluded retreat also has a patio area to grill a steak while sipping a bottle of red from one of the many local wineries. 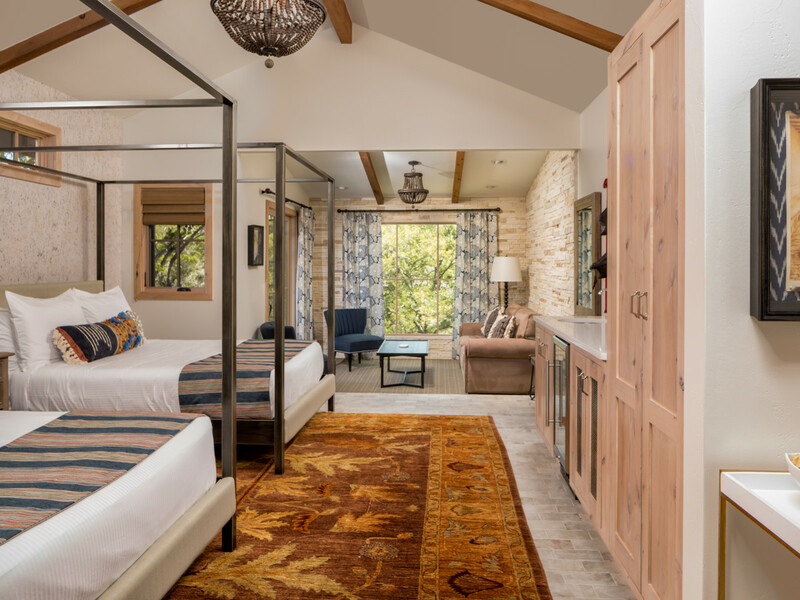 Wimberley may be known for its small-town charms, but this charming boutique hotel offers all the creature comforts of large luxury hotels. 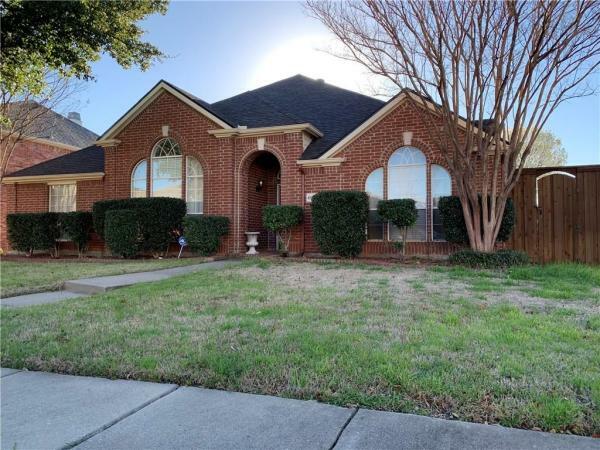 Located a couple of minutes from the town square, Flora & Fauna offers amenities like upscale bath products, high thread count linens, in-suite record players, and a landscaped common area with a pool and spa.